It appears the copying machines are firing up in South Korea, with Samsung replicating Apple's iOS 6 Passbook app for its future Android handsets. 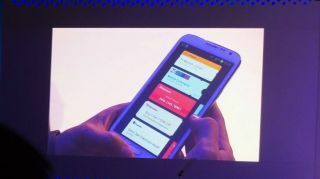 The Next Web reported Wednesday that Samsung has unveiled a new ticket and coupon management app for Android, and this one is likely to look familiar to iPhone users. Announced at the company's Developer Day at Mobile World Congress, Samsung Wallet takes direct aim at Apple's Passbook - an iPhone app that allows users to store tickets, coupons, boarding passes and other data electronically. The move isn't much of a surprise considering the term "Samsung Wallet" was listed in a U.S. trademark application nearly a year ago. Although the open Samsung Wallet API is still in beta, the company is accepting early developer sign-ups ahead of a March 7 launch. Current U.S. partners include names already familiar to Passbook users, including Walgreens, Major League Baseball, Expedia, Booking.com, Hotels.com and Lufthansa. Samsung Wallet even replicates the smaller details of Apple's app, including time and location-based push notifications which alert users when they're near a favorite store. Like Passbook, Samsung Wallet is not yet enabled for near-field communication wireless payments, but the company is expected to eventually implement the technology thanks to an existing partnership with Visa.